Purchased at the 2014 Midwest Sale from Mike Bowman. 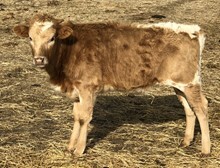 She has an outstanding pedigree and is a sure fire 80" cow. 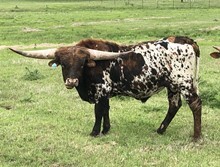 Long and tall with very good horn base and direction.